People who consider themselves spiritual ten to use specific word in order to communicate their progress and how they see change in this world. Many of them use the quote of Nikola Tesla who said: “If you want to find the secrets of the universe, think in terms of energy, frequency and vibration.” Some talk also about the higher dimensions, about love consciousness, chakras, photon bands and increasing power of light that will expose the darkness. Positive thinking and positive energy is according to them the answer to solve current problems of humanity. They define this world as nothing but illusion since when we look the matter under the electronic microscope is is comprised only by small particles and a lot of space. Such definitions and explanations have confused me and made me wonder how to define myself and what to do since this world still seem to my human body senses as a very solid manifestation of reality and it did not go away just by becoming introduced to the quantum physics. And how practically shall I then open my hearth chakra, increase vibration and become the being of light since I can not see any doors, frequency modulator or energy switch? This was so intangible and impractical that it was driving me mad. Because if this world is only a hologram where we experience life lessons and we return to reality when we leave our physical bodies, is it then death not the only exit after one has reached such enlightenment and would it then not be the best to just kill myself as soon as possible to escape this illusion? Luckily several years ago I discovered an interesting source of information that explained also what is going on in the afterlife and how the system of reincarnation works. And then also how it has been changed in order to stop the suffering in this world. Then also that energy is not the primary manifestation that created the illusion of substance but that it is the other way around. It was the substance as the embodiment of sound that created itself into energy and frequency. And that explanation enabled me to ground myself and a more practical way to work on the process of identifying and removing all point of separation. Also in the Bible it is said that “in the beginning was the world“ so if the words have the power of creation, I am able to use the words to recreate the existence into something that is far more desirable. But before that I must also understand what world actually mean and to align my definitions according to the real meaning. Because I realised that it is not only the negative energy like fear that paralyses but that also the positive energy like love has an equal effect. All the energy that is created by the vibration as manifested conflict and separation within the substance is what is possessing and blinding us and moving us away from each other. I forgive myself that I have accepted and allowed myself to define this world as illusion and wanting to escape from it by killing myself. I realise that the problem is not with the world that I find myself in but in my relationship with it and how I experience it. I commit myself to when and as I find myself in a challenging situation and my mind is producing thoughts like: “What is the point of all this of this world is not real? Why just not go home to the afterlife and enjoy the bliss of heaven?“ to stop and breathe. I then continue to move myself it his world and contribute to make it better. I forgive myself that I have accepted and allowed myself to hope that problems of this world can be solved by increasing my frequency of vibration and light within me. I realise that while objects in this world do resonate and one can measure the frequency and intensity of many things, there are actual words behind the actions of everyone of us. I commit myself to when and as I experience trouble and my mind goes: “Just sit down, open your hearth chakra and imagine for the energy of love and light to emanate into all the existence!” to stop and breathe. I rather look deeper into my subconscious mind and name the game by finding appropriate words that describe the movement within me that create conflict between me and this world and then forgive all points of separation. I forgive myself that I have accepted and allowed myself to wish that this existence would fix itself quickly and thus becoming restless and impatient. I realise that in this dimension of time and space there are laws that govern how fast something manifests that I am not able to change by using only wishful thinking. I commit myself to when and as I see how slow things move and my mind is saying me: “You should become angry and express your anergy of dissatisfaction!“ to stop and breathe. I then move myself slowly and patiently with the speed of the physical. I forgive myself that I have accepted and allowed myself to fear that I will die before I achieve anything substantial in my life since time is passing so fast. I realise that every single thought, emotion, word and action of mine count since everything creates consequence and ripple effects. I commit myself to when and as I see how much I have achieved in my life and my mind steps in with thoughts like: “You are running out of time so better hurry to create something that other will remember you by!“ to stop and breathe. I then continue to perfect myself with awareness that the best way to fix this world is by firstly improving myself and become a practical example for others. I forgive myself that I have accepted and allowed myself wanting to control the events in this reality and becoming disappointed when they do not turn out as I imagined. I realise that I am only one of many individuals that influence the events in this existence and that the only thing that I am able to control is myself and the attitude towards myself and the outer manifestations. I commit myself to when and as I observe what is going on outside myself and my mind goes like: “Look at all this suffering and distraction! You must become very sad since you are powerless and very small part of existence.” to stop and breathe. I then continue with participation in this world with awareness that the most important is for me to do my best and encourage others to do the same. 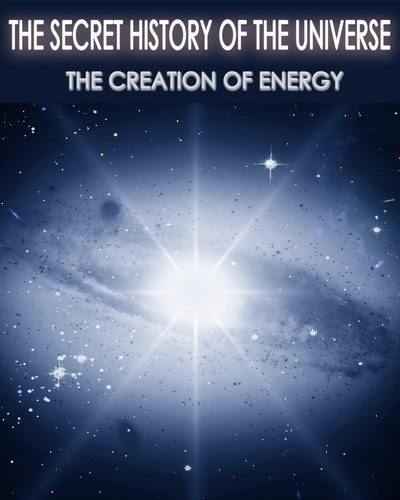 In relation to this blog post, I invite you to assist also yourself with awesome self-assisting tools within free online DIP Lite course and to listen to educational audio titled The Creation of Energy from the The Secret History of the Universe series at Eqafe web store with hundreds of extremely supportive educational items that hold answers to any imaginable question about life and this existence.